The Knicks are bad, like really bad. The team enters their final full week of what has been a massively disappointing season. Picked by many to go to the playoffs, the Knicks will instead be heading to the lottery hoping some ping pong balls can bounce their way. They finished this past week with a respectable, by their standards, 2-2 record to move to 29-48. At this point, it’s best for them to just tank and help their lottery chances, but they can’t even do that right. The Knicks closing this season out on a hot streak would be the most Knicks thing ever. However, some do argue that tanking isn’t best for the franchise. They think it’s more important that the young players learn how to win. Those people are wrong. “Learning how to win” isn’t a thing. It’s a dumb cliche that the media and fans overuse way too much. Younger players like Kristaps Porzingis, Ron Baker, and Willy Hernangomez don’t need to “learn” how to win a game. Do you really think winning a couple of meaningless games down the stretch will turn them into superstars for next season? You know how you “learn to win”? By playing with good players. And in the Knicks case, their best way to get good players is through losing and moving up the draft board. If a couple of meaningless wins move the Knicks to eighth or so in the draft, blowing a chance at Lonzo Ball or Josh Jackson, that’s just bad for the franchise. It’s not outweighed by some perceived confidence boost that Mindaugas Kuzminskas is going to get from beating the Memphis Grizzlies in a meaningless April game. That’s why all fans should be hoping the Knicks lose every single game they have left. So while fans should never root for injuries, those who are on board with #KnicksTank are probably not crushed that Derrick Rose will miss the rest of the season with a torn meniscus. As bad as they are with him, they’re probably even worse without him. Nobody should be shocked at Rose injury news, and it’s a fitting end to a disappointing year for him in New York. In 64 games, the former-MVP averaged 32.5 MPG with 18 PPG, 3.8 RPG, and 4.4 APG. While he did have some bright spots, he just never seemed to fit well. I was at their game against the Pistons Monday and while Rose had a solid game (27 points on 12-17 shooting), two plays stood out. 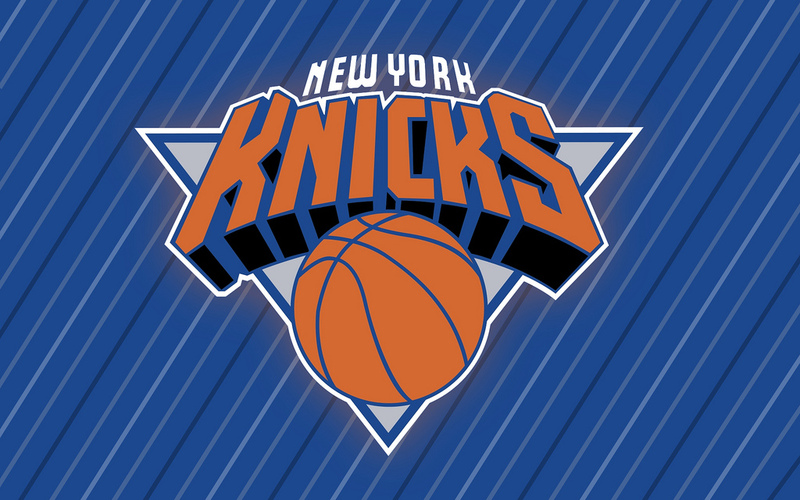 At the end of the first quarter, the Knicks got the ball back with 20 seconds left, shot clock off. Rose did not pass the ball once and settled for a contested shot that missed. The exact same situation occurred at the end of the third quarter. Once again, Rose did not pass and settled for a contested mid-range jumper. The shot went in, but it was still a poor possession. Today’s NBA is predicated on moving the ball, and looking for an open three or getting the ball inside. As shown in those two plays, Rose isn’t the greatest passer and too often settles for a mid-range shot, which is the least efficient shot in basketball. He’s just not a fit in today’s game. Right now the Knicks have the sixth worst record in the game. Realistically, it’s most likely that they’ll finished somewhere between the fourth and eighth worst record. The Knicks have five games left, four this week. They’re home against Chicago and Toronto, head to Memphis, then come home to face Toronto and Philadelphia. With any luck, they’ll lose them all.